Successfully Skyped into a live church service. It was on a rooftop patio as I was told earlier on. I could not understand other than the language of prayer and worship through the Spirit. Pastor Hanif asked me to pray over his congregation as he interpreted. It was a blessed, spirit-filled moment in my life I shall not soon forget. After several exchanges and prayers via Twitter and email, I finally got an opportunity to meet Pastor Hanif Masih from his home in Faisalabad. We met via Skype as he was having breakfast on a Sunday morning. I was winding down on a Saturday night 12 hours earlier than his local time. It was a pleasure to just talk and share the Lord. I met his small children and wife. He was on his way to visit a neighboring town to evangelize the gospel. 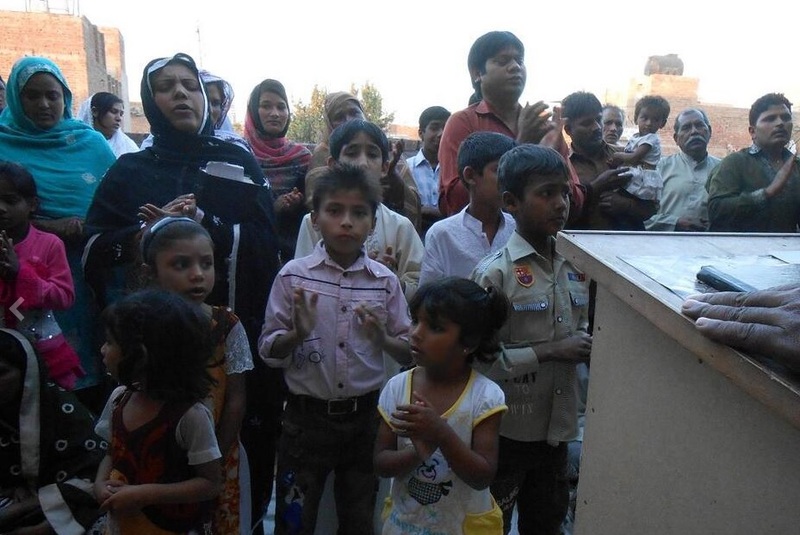 It is a task that is not taken lightly in Pakistan for even as there is religious freedom, there is not always an open-arm reception at hearing about Jesus. He told me they meet as a congregation on a rooftop of a house on Saturdays and Sundays. His wife ministers as well. 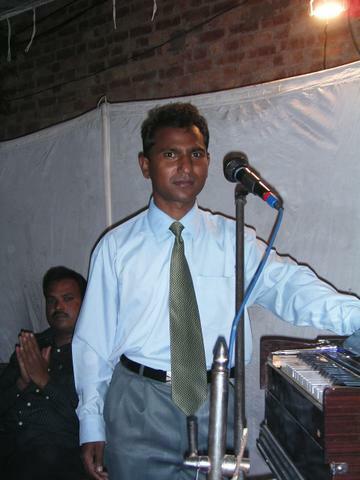 Pastor Hanif was baptized in 2004 and continues to spread the love of Jesus Christ to those who will listen. We were able to pray for each other face-to-face, inviting the Spirit to draw close two countries thousands of miles apart into a single room. There will be much more to come soon. I pray for his effort in Pakistan. God is with them now. Were you Muslim or another religion prior? Pakistan has lawful freedom of religion. Do you still feel safe spreading the word of Jesus to others in your country? What is the denomination of your church, if any? Baptist, Assemblies of God, other? You are Executive Secretary at Christ’s Voice Ministry. I read it started in 2002. Were you part of that original church? Does your ministry have regular church services weekly? Spirit alive in Pakistan! Praise our Father. I will be praying too! This is wonderful! How did you meet him Ricky? We met through Twitter. Many others too. I am praying with others for many from other countries and learning a bunch about what God is doing in places forgotten by the west. Prayer ministry is being increased by the Lord. I feel I have found God’s plan for me this season, Cousin! Lots of love-see you in June! God knows your heart! It is in the right place. Bless you friend and brother.